That Synod will involve seven bishops’ conferences from nine Latin American countries who will consider their pastoral situation under the theme, “Amazonia: new paths for the Church and for an integral ecology.” As is usually the case in these meetings, the bishops at the Synod will work with materials drafted in Rome. Early indicators from the Synod’s preparatory document suggest that the Amazonian Synod will be longer on environmentalism than on theology. International media attention will doubtless focus on the Synod’s discussion of climate change and its relationship to Amazonian deforestation. The 2018 Synod, summoned to discuss youth ministry and vocational discernment, began with an effort by the Synod general secretariat to enshrine the world’s language of sexual plasticity (and the lame understandings of happiness that underwrite that language) into an official Church document. When that failed, Synod-2018 became the occasion for the Synod general secretariat to promote an ill-defined notion of “synodality” that struck more than a few bishops present as a prescription for local-option, choose-your-own-doctrine Catholicism on the model of the (imploding) Anglican Communion. This pattern seems likely to continue at the Amazonian Synod. There, the deeper agenda will be the ordination of mature married men — viri probati — to the priesthood. Proponents will argue that this dramatic change in the Church’s longstanding tradition of a celibate priesthood (which, contrary to much misinformation, antedates the early Middle Ages by hundreds of years) is necessary because Amazonia is a Catholic area deprived of the Eucharist by a lack of priests. One hopes that the counterclaims — that Amazonia is mission territory requiring wholesale evangelization, and that Amazonia’s lack of priests reflects racial and class divisions in Latin American Catholicism that discourage priests of European pedigree from working with indigenous peoples — get a serious hearing. Proponents of ordaining viri probati in Amazonia, including retired Brazilian Cardinal Claudio Hummes, OFM, have insisted that any such concession there would have no implications for the universal Church. That cannot be, however. Should the Amazonian Synod request the Pope to grant a dispensation from the discipline of celibacy for that region, and should he grant it, it will be just a matter of time before bishops conferences elsewhere — Germany, Switzerland, Belgium, and Austria come immediately to mind — make similar requests, citing pressing pastoral needs. On what ground would those requests be denied? If the Amazonian Synod concentrates on environmental issues it will be boring. If the emphasis is on allowing a married clergy by dispensation, it will be interesting. Why wouldn’t it spread to other countries? There was married clergy in the New Testament Church. It might be unavoidable now with the shortage of vocations. The Universal Catholic Church has in the Byzantine Rite a tradition of married priests, fully sanctioned under Canon Law. 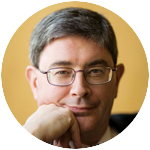 This fact is essential in order to balance the implicit misrepresentation found in the George Weigel article, that infers that the tradition of the Catholic Church is exclusively one of a celibate clergy. Mr. Weigel obviously fears that the Special Assembly of the Synod of Bishops for the Pan Amazon Region (hereinafter “Special Assembly”) may sanction a married priesthood, and that such sanction might lead by example to the extension of a married priesthood in the Catholic Church in the United States. My point here is not to argue for whether or not the Catholic Church in the United States should adopt a married priesthood. Rather, I want to call out two insults. First, Mr. Weigel ignores the Byzantine Rite and writes as if the customs of the Western Church are privileged over that of the Byzantine Rite, when in fact both Church History and Catholic Theology of the most traditional sort, support the equality of the two traditions: Latin and Byzantine. Second, for an Anglo, North American male to argue that the Catholic Church in the United States should have a say (or is a stakeholder in any sense) in what is decided by the Special Assembly is cultural imperialism of the most presumptive and condescending type. I would suggest, that if in fact the Special Assembly does sanction a married priesthood, it will not be because of the radical influence of Liberation Theology, but because the bishops have been guided by the Holy Spirit to look to the venerable and entirely orthodox tradition of a married priesthood found in the Byzantine Rite. As to whether the Catholic Church in the United States, in this time of discouragement due to the clerical pedophilia scandal, should follow the example of the Byzantine Rite, I will leave to the workings of the Holy Spirit.